Vintage Rolex award watch, all original! Oustanding condition for a solid gold used Rolex watch. 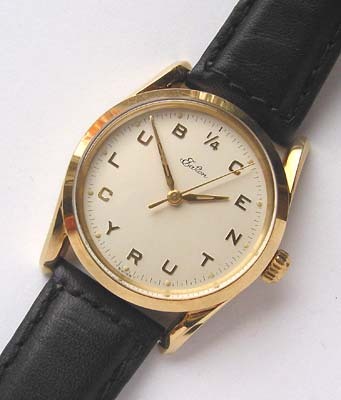 A notable piece of Rolex History. These watches represent the last time Rolex ever allowed their watches to be sold without their name on the dial, the only other times I know of were the Panerai Military dive watches and the Zell Brothers Turtle Timers. 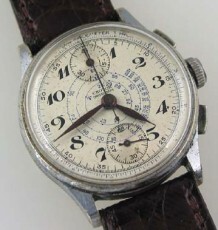 This model with the RARE reference 1011, was the last Rolex model used as a 1/4 Century watch. 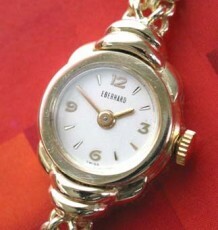 The case, cast in solid 14 karat yellow gold, features the highly stylish Bombe lugs made popular in the 1950’s. The latest photos of this watch highlight how the Bombe lugs really add to the vintage appearance of this watch. It had been suggested that Rolex sold Eaton’s the last batch of these watches in the late 1950’s or early 1960’s to clear out the cases. This seems likely as the movement in the watch is the newer Rolex caliber 1530 as opposed to the older Rolex caliber 1030 from the 1950s, which is normally seen in this case design. 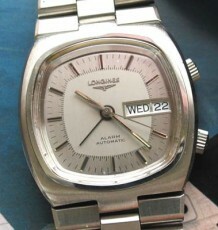 The watch is in outstanding condition, the dial is unblemished in its original condition. The movement is fully serviced and keeping excellent time. The watch is also supplied on an Italian leather strap with the original Rolex 14 karat yellow gold buckle. 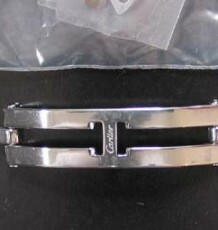 The watch case measures 33mm (excluding the crown) wide by 40.5mm long.